This charming 3-bedroom home is ready to move in. New flooring and doors throughout. The bathroom and kitchen have been updated. New dishwasher and microwave are included. 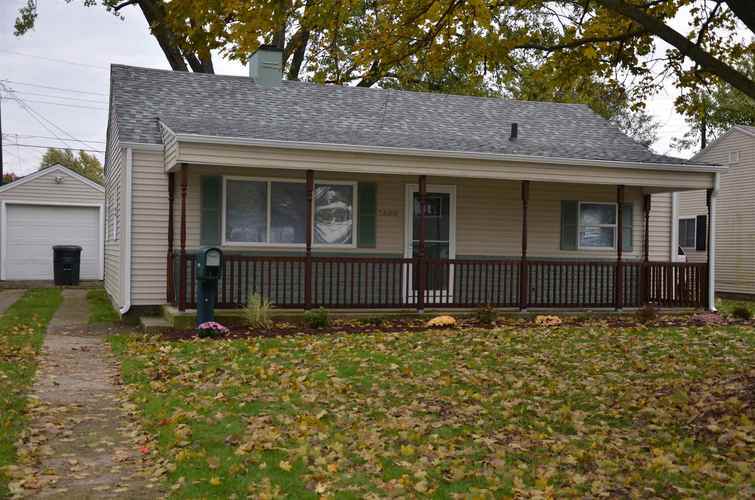 The home features a covered front porch and a deck great for enjoying the fenced backyard. In addition to the interior remodel The seller has also installed a new roof, deck and all new landscaping. This is turn key and move in ready! Conveniently located near the US 20 bypass and just a few minutes from downtown South Bend. Easy access to restaurants and shopping. Directions:From Michigan Street, exit the roundabout to head east on Chippewa. Turn north on Addison. The property will be on the right.